President Ian Khama said Botswana and Mozambique should redouble efforts in accelerating implementation of strategic projects. Addressing his Mozambique counterpart Filipe Jacinto Nyusi in Gaborone, Khama called for fast tracked development of a deep-sea port and a railway line linking between the two countries. “The development of this vital transport corridor, will go a long way in unlocking the economic potential of our two countries, and also contribute towards greater regional integration,” Khama said. He further said it is critical to ensure effective implementation of project under the two countries’ bilateral agreement. In addition, President Khama urged the business community to learn more about investment opportunities in both Mozambique and Botswana. 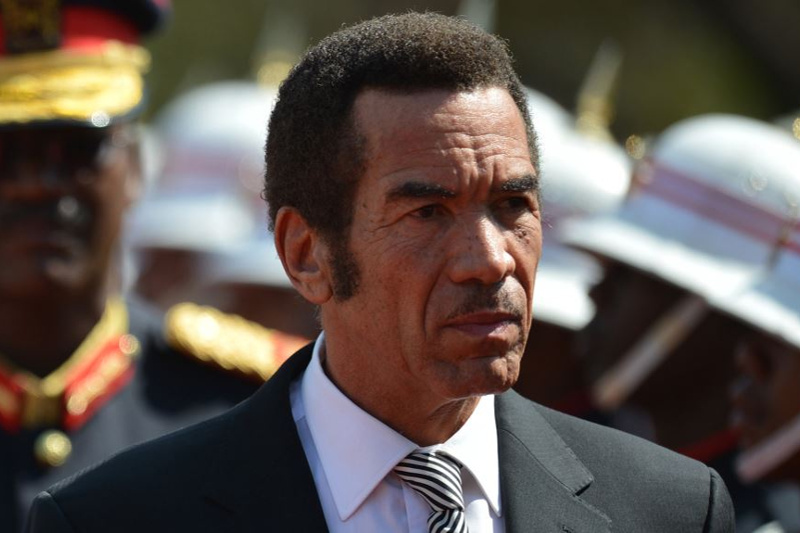 Meanwhile Khama said Africa’s leaders should remain resilient amid challenges currently confronting humankind being more complex and of major proportions. “As leaders, we therefore have to work more closely together if we are to achieve inclusive growth and sustainable development,” said Khama. President Khama said with the political will and commitment to inculcate a culture of good governance, the development challenges presently facing the continent are not insurmountable.